The Greater Fort Kent area has no less than 4 river systems. Water levels vary widely and not all rivers are runnable at all times. Call the hotel for details. We monitor water levels every morning through the US Geological Survey web site. Prices can be as low as $18 per day but will vary depending on the outfitter and type of trip. 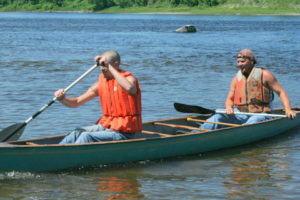 Allagash canoe trips and canoe rentals. Here are links to other areas of interest to canoeists. 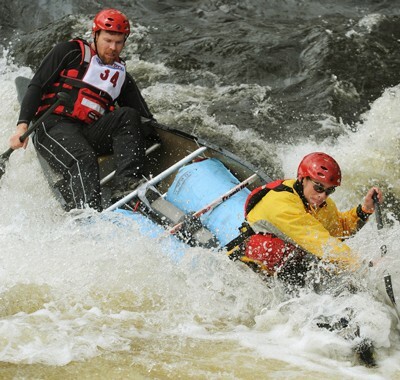 This is a 740 mile water trail through New York, Vermont, Quebec and Maine. us. I wish we had had the presence of mind to take their pictures. If canoe and kayak racing is your cup of tea, Maine has canoe races just about every weekend from late March until early October.